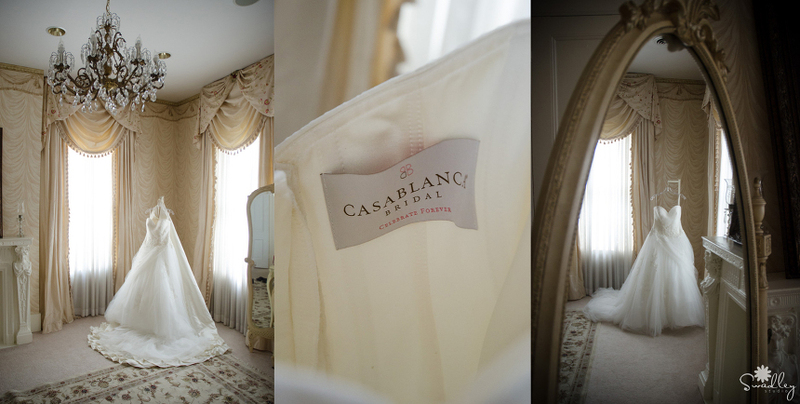 We have another Historic McFarland House wedding to show off today! I have been anticipating Katie’s wedding ever since I met with her and her mom, and listened to all the wonderful ideas they already had planned for the wedding. I knew it would be nothing short of amazing. 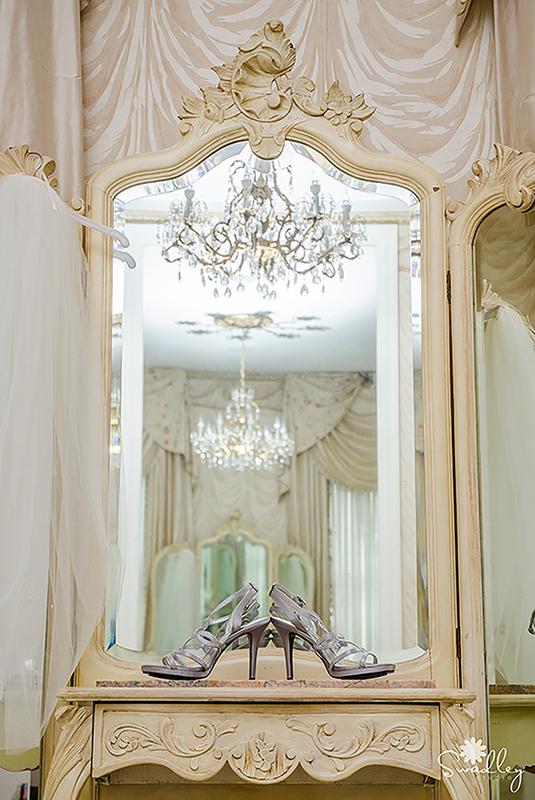 Check out some of our favorites from Katie & Tony’s gorgeous Martinsburg wedding! 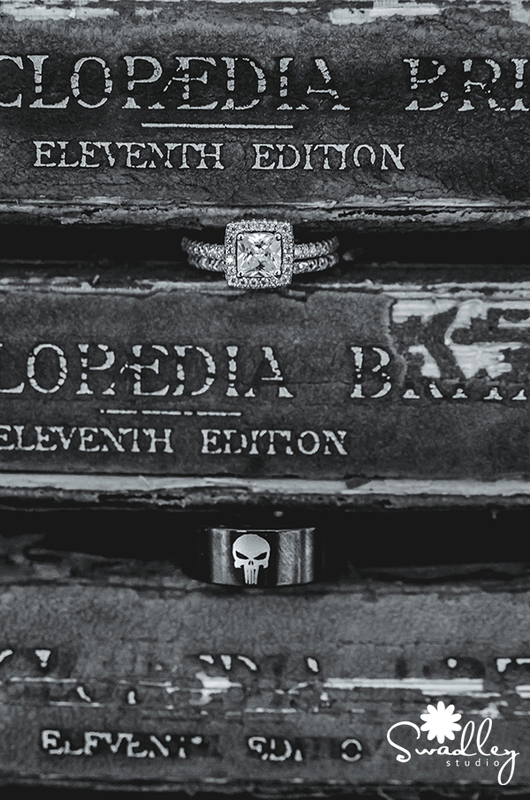 I love this ring shot using the antique collection of Enclyopedia Brittanica’s at the Historic McFarland House. It’s been awhile since I’ve posted behind the scenes shots, so here’s one Jon got of me taking the photograph above. I love that he got it at the exact time that I did (you can see my flash going off)! Loved these skies during their ceremony! Jon got this pretty flower while I was doing formal portraits. So many pretty flowers at the McFarland House! Look at all these pretty pinks!!! The food at the Historic McFarland House is superb, and Chef Brad pulled off another gorgeous and absolutely delicious dinner. They had heavy hors d’oeuvres both buffet style, as well as passed. How adorable was the look on this girl’s face?!? Haha! This last song was requested by Tony and dedicated to fellow military members. It brought everyone to their feet, glasses raised and the vibe was crazy awesome! Speaking of the people who work behind the scenes, I have to give props to this guy and his beautiful wife. We have had a year full of very bad DJ experiences, and I was so relieved to see that Rick Rohn would be the DJ for this wedding. Brides: please don’t skimp on your reception entertainment. DJ’s are not all the same, and this year has proven it to us (not that we didn’t know that already…). Be on the lookout over the next several months for vendor spotlights with the DJs that we always recommend that will make your reception go off without a hitch, including this guy right here!